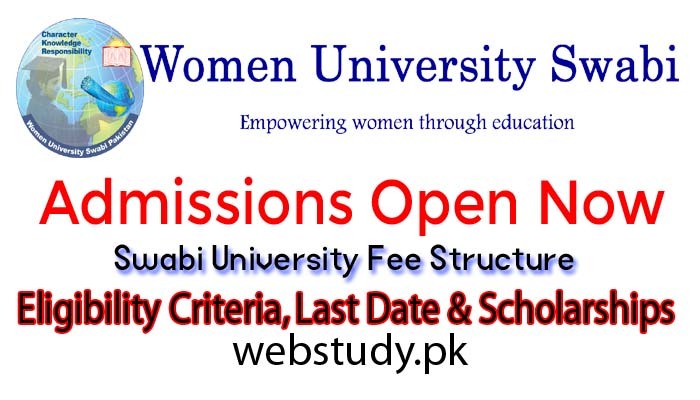 Women University Swabi Admission 2019 are open now for all the undergradudate, post-graduate, mphil and phd program for all those girls who have done intermediate with flying marks. Women University Swabi Masters Admission 2019 Last Date is mentioned on the advertisement given below along with all the details of admission like eligibility criteria, merit list, entry test and scholarships. All students can get form for Women University Swabi BSc Admission 2019. Institute is inviting applications from self confident students who have done previous session of studies with good marks. Only Female candidates can apply for Swabi University Admission 2019 as it is woman university in swabi. 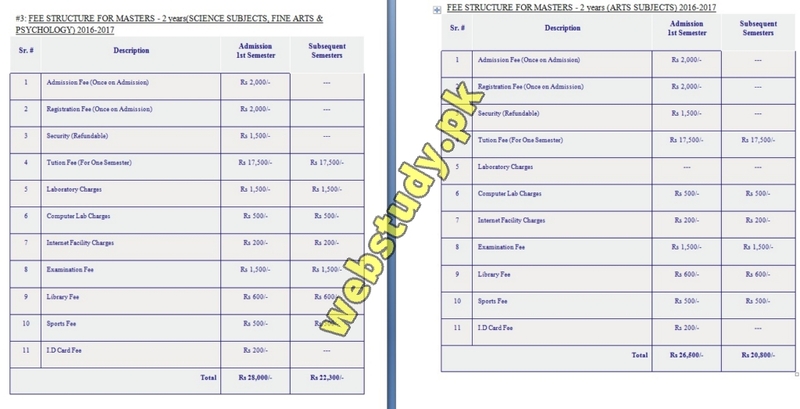 Here at webstudy.pk you can get details of Swabi University Spring Admission 2019 Advertisement, Admission criteria, merit list and much more information. If you are willing to apply for admission in Swabi University then you should read all this article because here is updated eligibility criteria and if you think that you are eligible for admission then you can apply for Swabi University 2019 Admission before last date. Women University Swabi was established in 2016 by KPK government and it is public sector university and affiliated with higher Education Commission HEC. Swabi University is newly build institute so it is not as famous but it will be get fame very soon because it Is providing quality education to the students and also providing best facilities to the students like airy classrooms, labs, canteen, lecture theater halls, transportation, hostel, greeny lawns, computer labs, highly trained staff and well educated faculty. All the eligible candidate have to visit university campus to get prospectus that contains application form. You have to fill the form. Attach the required documents and submit it to the admission office. Applicants can also download online application form from official website. Applicants are required to attach Bank draft of Rs. 850/- in each case in favor of Women University. Swabi OR Receipt of online transfer of Rs. 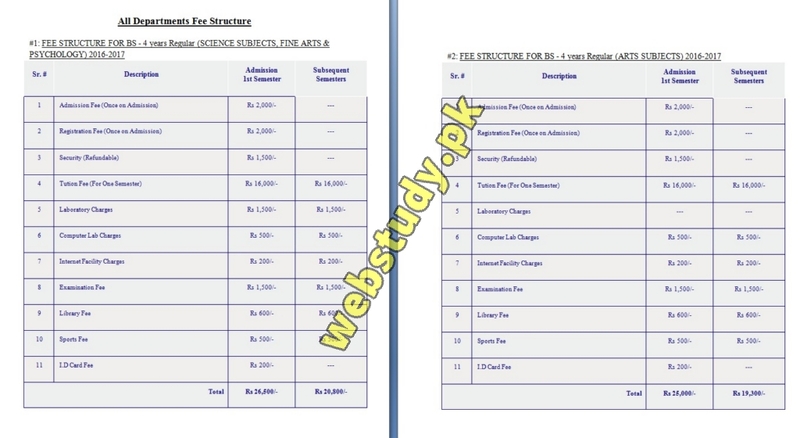 850/- in each case to UBL A/C. No 000231419453 Titled: Women University, Sw.-ibi Collection Account.